Dudley Wright was an individual who refused to embrace the modern spirit of secularisation and cultural “disenchantment,” countering it instead with a quest to find esoteric wisdom, spiritual “truth,” and an “original” ur-religion or prisca theologia. As a Freemason, Dudley Wright was a member of several lodges, and was on the editorial team of a number of prominent Masonic periodicals. For several years he was the assistant editor, and briefly the principal editor, of the main English Masonic newspaper, The Freemason, and was the founder-editor of The Masonic News. He was also on the editorial team of a number of other Masonic periodicals, such as The Builder and The Master Mason. He published several books and dozens of articles about various aspects of Freemasonry. 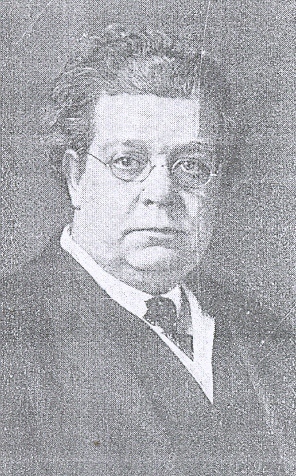 In addition to his works on Freemasonry, Wright also published articles and books on various religious, theosophical, spiritual and esoteric traditions. He also had a keen interest in psychic and supernatural phenomena, and wrote many articles and books on vampires, poltergeists, the after-life, and resurrection. He was – to use his own phrase – a “truth-seeker” on a spiritual journey. He believed that all religions and mystery traditions share a universal spiritual foundation, and one of the goals which permeated his discourse throughout much of his life was to trace the core truths which he believed all religious systems shared. From 1906 until 1949, he published nearly 30 books, and more than 200 articles and essays in a wide variety of Masonic, Buddhist, Islamic, Jewish, Christian, theosophical and other religious and spiritual magazines. According to a study by Paul Calderwood (link), he also wrote over 800 short articles and reports on Masonic subjects for The Times newspaper. Wright was also involved in speculations of a more occult and psychical nature. In 1908, he monitored a series of tests involving so-called “thought-readers” for the Annals of Psychical Science, a periodical he later owned and edited (in 1909 and 1910). According to Wright, the purpose of this periodical was to examine “well-attested observations” of “telepathy,” “clairvoyance,” “premonition” and “apparitions.” In 1910, Wright published a booklet and an article examining questions relating to reincarnation, previous lives, immortality, and the fate of the soul. Wright believed that “psychical science” was gradually demonstrating the likelihood of some form of continuity of life after death. However, he rejected dogmatism, suggesting that it was necessary to be open to the possibility of being proven wrong. “The danger,” he explained, “lies in our becoming dogmatic,” as “dogma has been the cause of the degeneracy of every religious system.” This so-called “degeneracy” or “corruption” of religious systems was a key concern for Wright. Whilst Wright expressed scepticism about the value of sacred texts as sources of literal history and dogma, he considered them essential as sources of parables and hidden wisdom. In two articles published in 1910 and 1911 in The Theosophist, Wright observed that the Essenes regarded the sacred texts as parabolic rather than historical. It was, he argued, their “spiritual or hidden meaning,” rather than a “literal rendering,” that was important. Wright believed that for “students of the mysteries of all Scriptures,” it was important to look for the “deep substratum of esoteric and occult teaching, some gem buried deep beneath the soil.” “The Spirit of Truth,” he concluded, cannot be directly communicated to the world, but must be presented in the form of parables. Wright also sought for truth in a number of other esoteric sources. For example, he examined folktales and testimonies about supernatural creatures, such as vampires and poltergeists. In July 1910, Wright published an essay entitled “A Living Vampire” in the Occult Review. The Occult Review was a monthly magazine, contributed to by notable writers on the occult, such as Aleister Crowley and Arthur Edward Waite. A few years later, he expanded this essay on vampires into a still popular book entitled Vampires and Vampirism. Around this time he also published a book about a prominent poltergeist episode, which supposedly occurred in 1717, at the family home of John Wesley, the founder of the Christian Methodist movement. This was based primarily on letters between the various Wesley family members, which were initially published by Unitarian theologian, Joseph Priestley, in 1791 (in Original letters, by the Rev. John Wesley, and his friends, illustrative of his early history). When he first wrote about Islam in August 1915, he was not as yet a Muslim. However, by September, he had embraced Islam. The Islamic Review reported his conversion, and listed his name amongst other recent prominent converts. The mosque that he joined was a part of the Ahmadiyya community, an extremely liberal, non-sectarian, and to this day little known and often persecuted branch of Islam. Like Dudley Wright (in the 1910s and 1920s), the Ahmadiyya movement believes that there is common ground in the core teachings of all religions, and recognizes the founders of Islam, Judaism, Christianity, Buddhism, Confucianism, and other major religions, as prophets and saints of God. Ahmadiyya-ism has been deemed heretical by some Muslims, and in some cases the Ahmadi have been branded as kafirs or unbelievers (link for more on this). From circa 1915 to 1920, Dudley Wright was a frequent contributor to the Islamic Review (the periodical of the English Ahmadiyya movement), and a preacher and resident at a temporary mosque on Upper Bedford Place in London. According to the September 1915 issue of the Islamic Review, he adopted Muhammad Sadiq as his Muslim name. As I discovered whilst searching the archives of the Catholic Guild of Israel, at some point in the early 1930s, Wright embraced Roman Catholicism. At around the same time, he drifted away from Freemasonry, perhaps because, as Robert Gilbert has noted, the “esoteric school” of Masonic research that William Westcott represented – and which Dudley Wright also favoured – had fallen “beyond the pale” by the 1930s (See R. A. Gilbert, “William Wynn Westcott and the Esoteric School of Masonic Research,” Ars Quatuor Coronatorum 100, 1987: 6). Wright’s membership of the Wellesley Lodge ceased in 1931, and his membership of the Eccleston Lodge was terminated in 1932, as a result of non-payment of fees. The newspaper that he founded, the Masonic News, also folded in 1931. Wright joined the Catholic Guild of Israel on 28 October 1933 (according to the Guild’s membership logbook). His transition from Freemasonry to the Catholic Guild of Israel (an organisation dedicated to the conversion of Jews, and which regularly repeated antisemitic myths and stereotypes), was marked by a sudden inversion in his discourse about Jews and Catholicism. His discourse had previously been critical of Catholicism, Christian theological ideas such as the Trinity, and Catholic anti-Masonry, and positive about Jews and Judaism. From 1934 to 1938, he praised Catholicism, defended the concept of the Trinity, and repeated antisemitic stereotypes of Jewish usury and power, and the myth of a Jewish conspiracy bent on destroying Christian civilisation, in publications managed by the Catholic Guild of Israel (and in unpublished manuscripts held in the Catholic Guild of Israel archives). He also caricatured the Talmud and Jewish literature as venomously anti-Christian (link for more on the anti-Judaism of Dudley Wright). In the early 1940s, Wright abandoned Catholicism and the Catholic Guild of Israel, returned to the Ahmadiyya movement, and readopted the name Muhammad Sadiq Dudley Wright. When he returned to the Ahmadiyya branch of Islam, he became a very regular contributor to the Islamic Review, contributing twenty-two articles from 1944 to 1948. Significantly, Dudley Wright’s negative representations of Jews and Judaism disappeared from his discourse after he returned to Islam and the Ahmadiyya movement, and he observed that Jews and Muslims were alike in believing in the “eternal unity” of God. As he had in the 1910s and 1920s, he argued that all religious systems have truth at their foundation, and he concluded that Islam was distinctive in that it recognised the wisdom and truth of the prophets and founders of all religions. Did Dudley Wright find in the Ahmadiyya movement the peace and answers that he sought? Perhaps in the final analysis, the “truth” that he sought, that most enchanting of ideas, a universal foundation at the heart of all religion, was less important than the journey he experienced searching for it. Islam was the only religion Dudley Wright ever re-embraced, and it is thus tempting to believe that before he passed away in 1949, he was satisfied that his spiritual journey had brought him home.